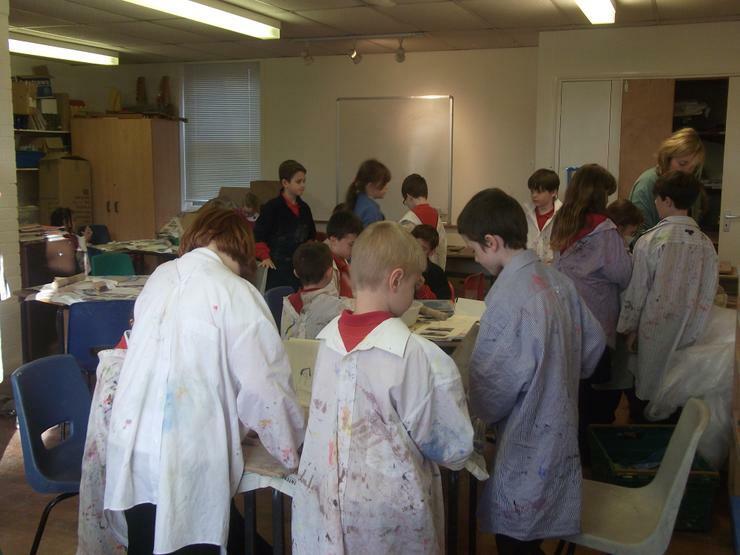 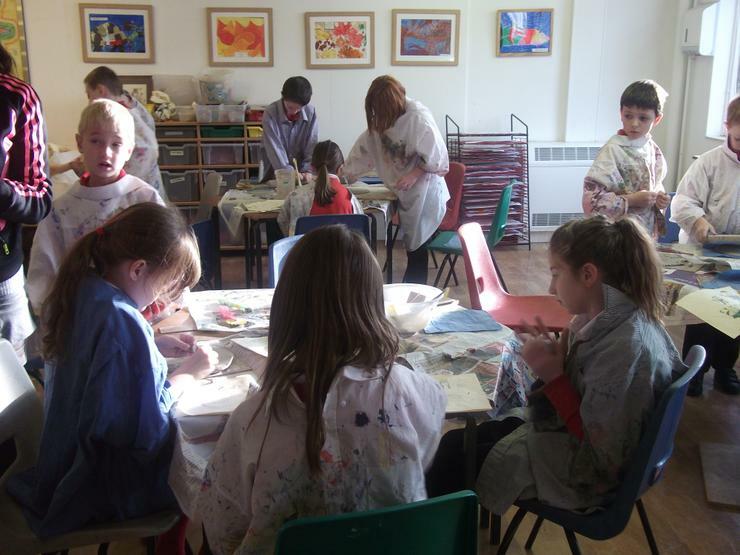 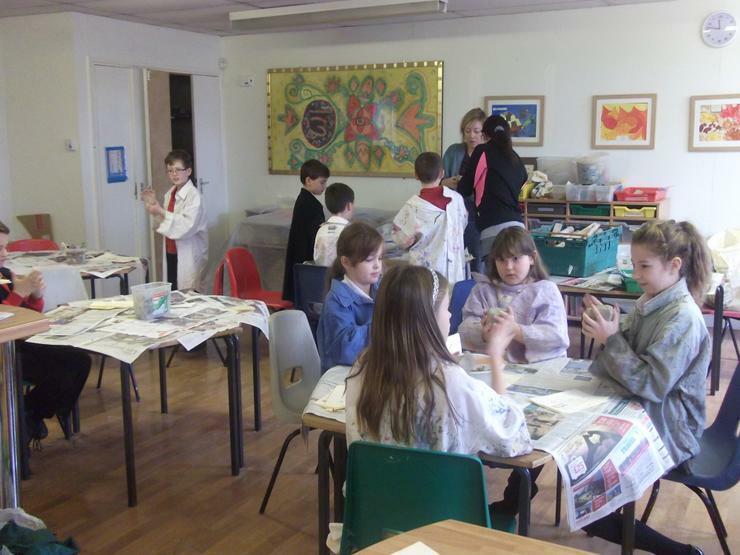 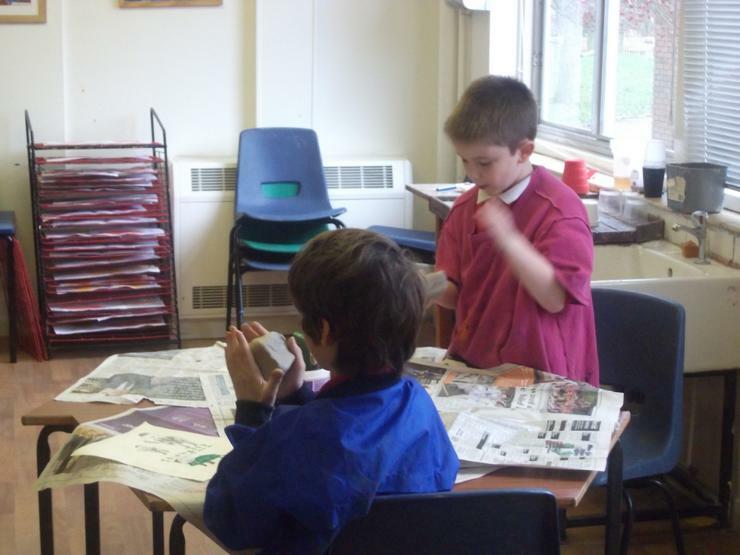 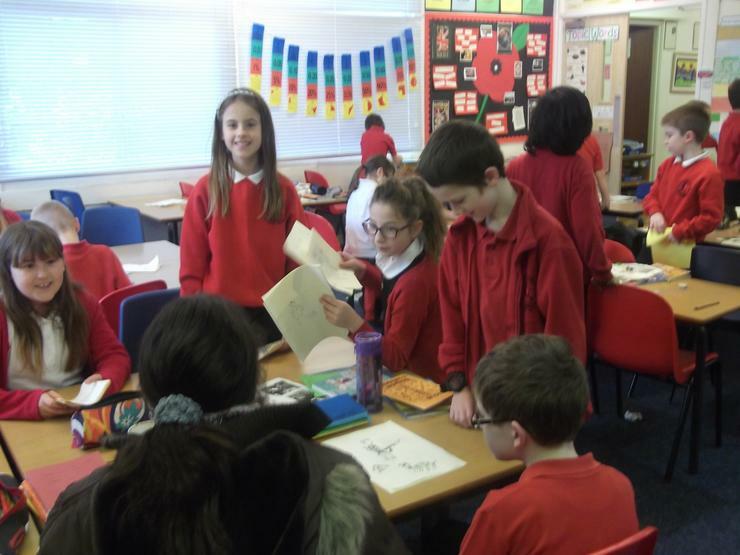 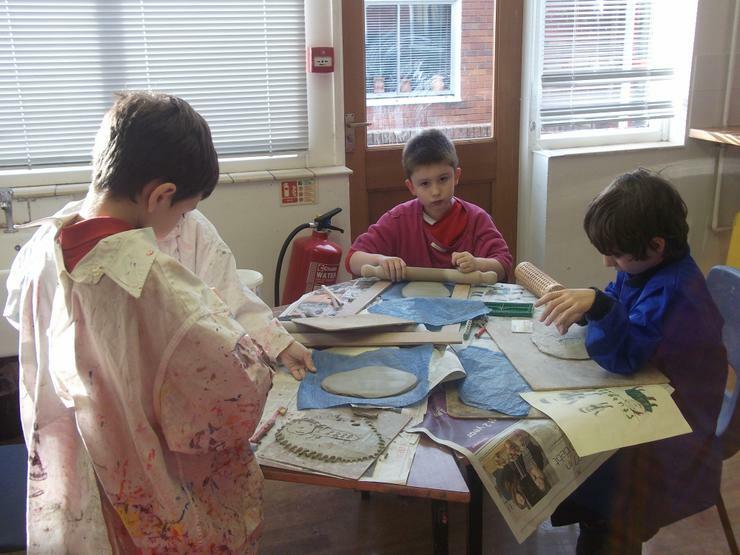 The children worked with Roz Ingram to create the school's World War 1 mural. 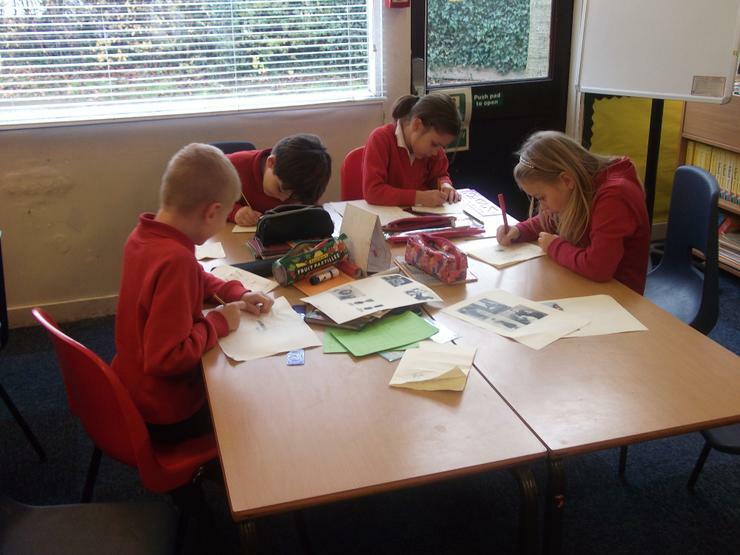 They first researched the different uniforms worn by both sides during the war. 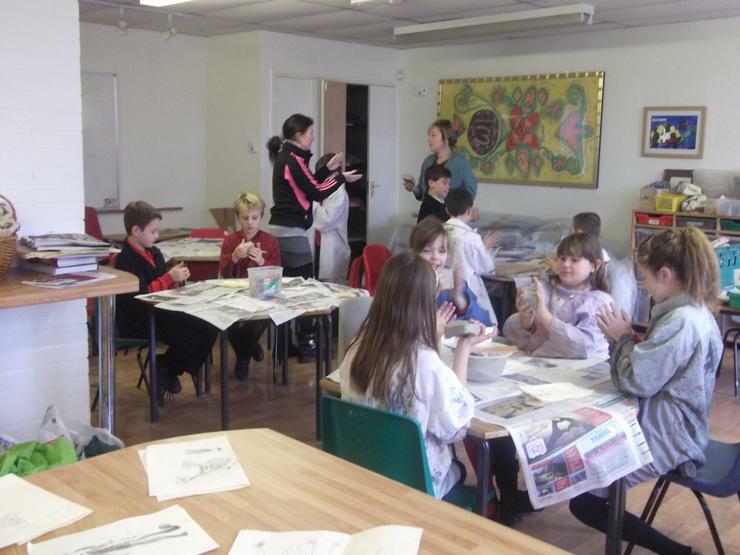 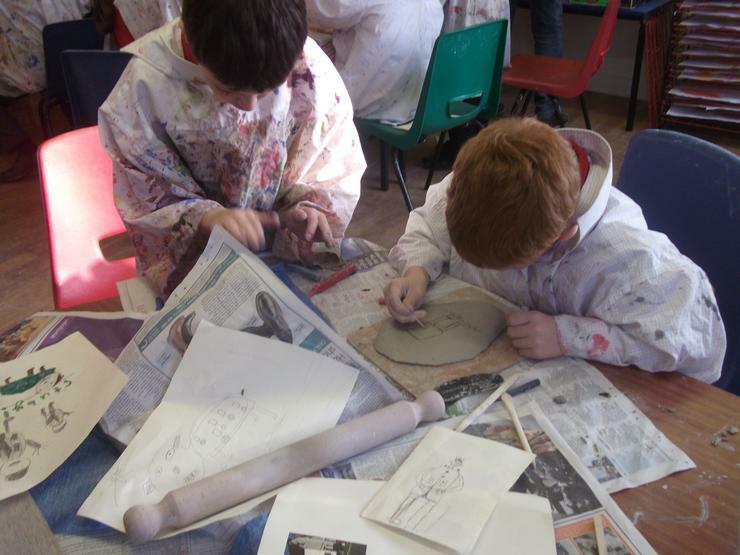 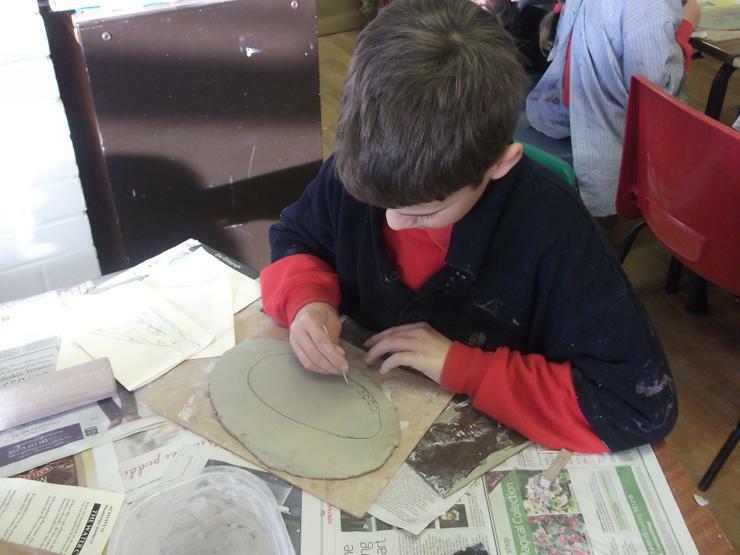 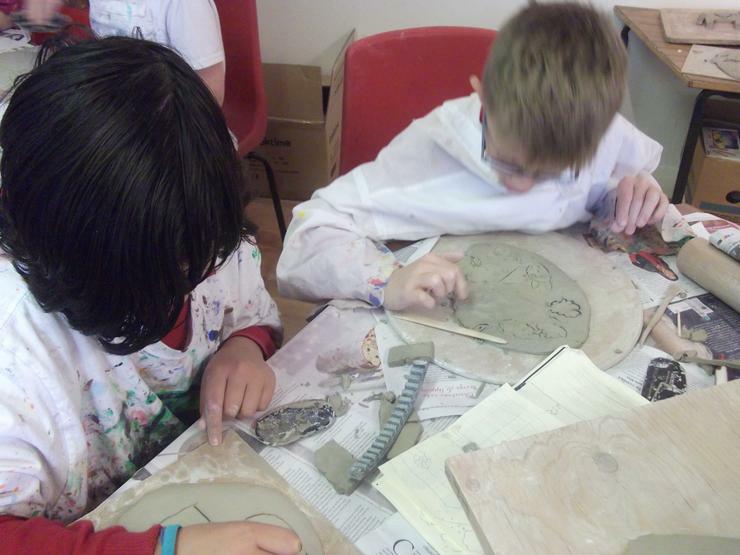 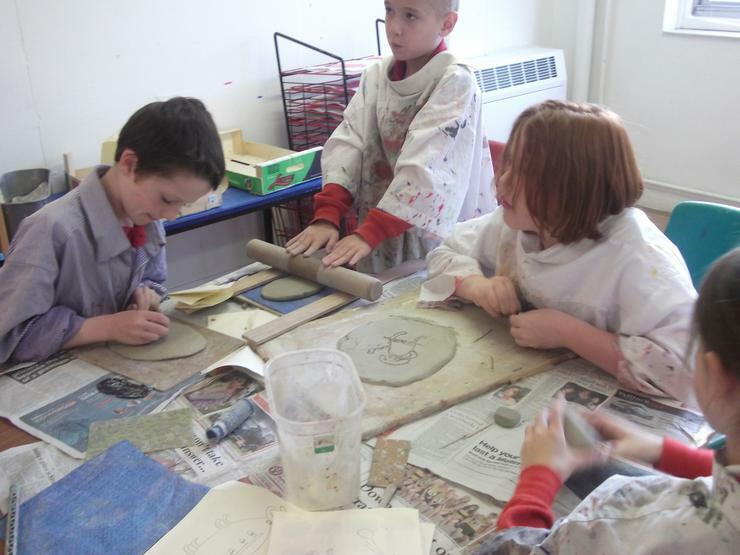 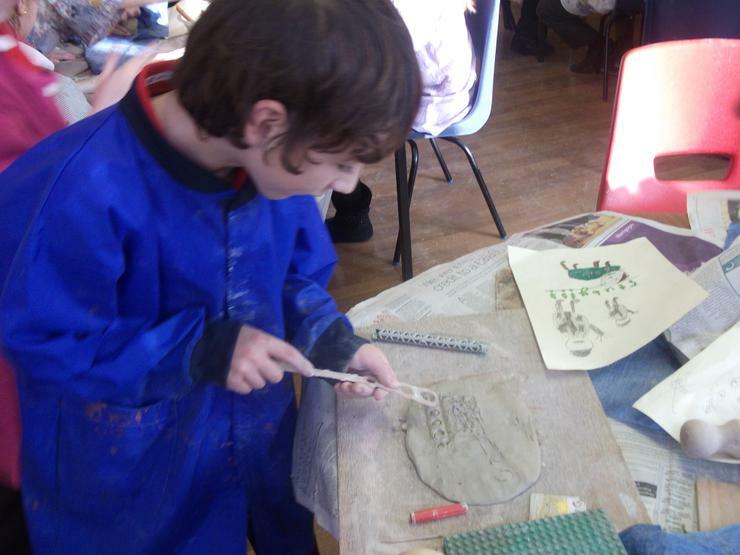 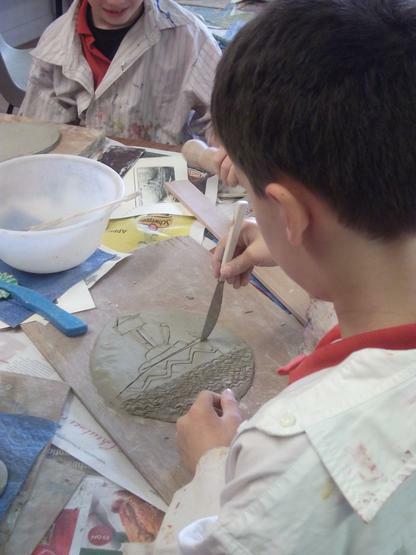 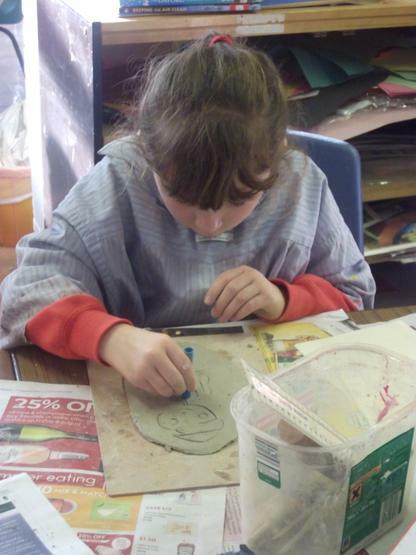 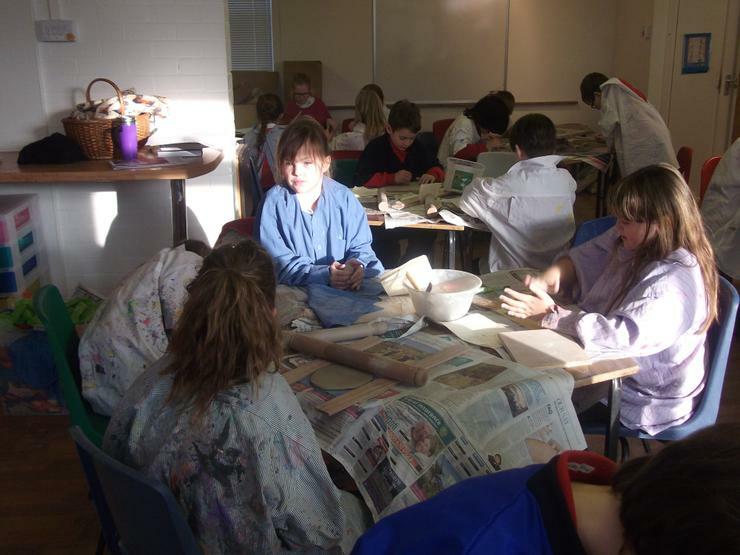 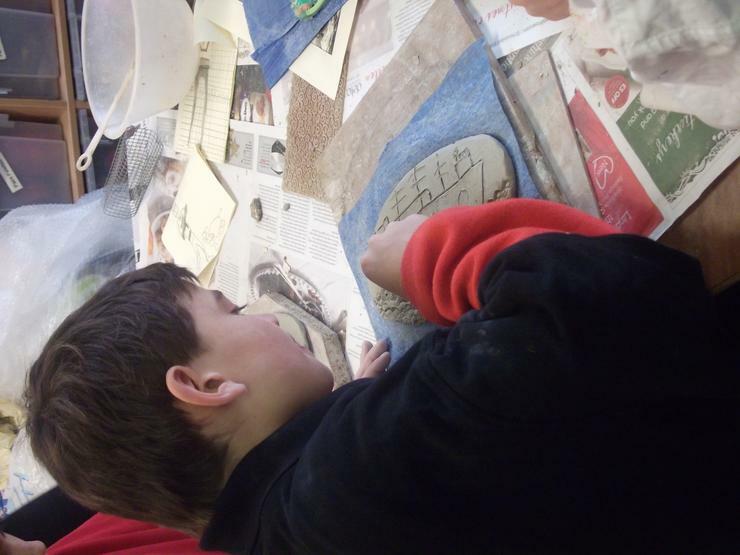 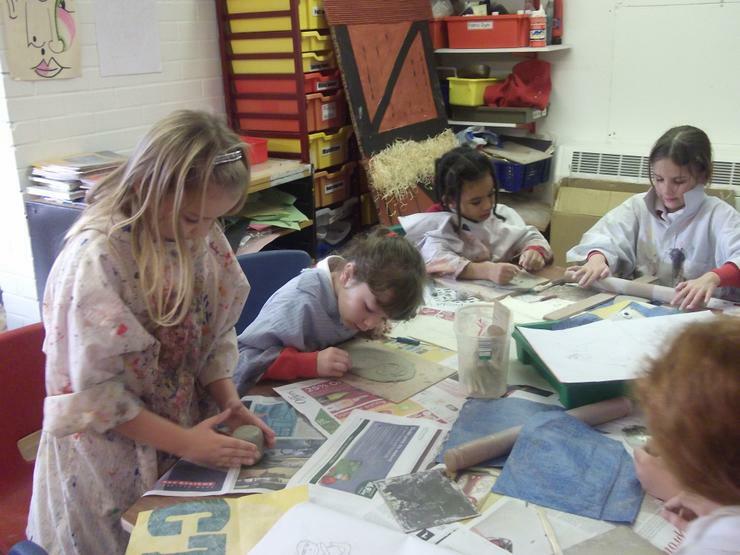 Then they sketched out their designs before transferring them on to the clay.